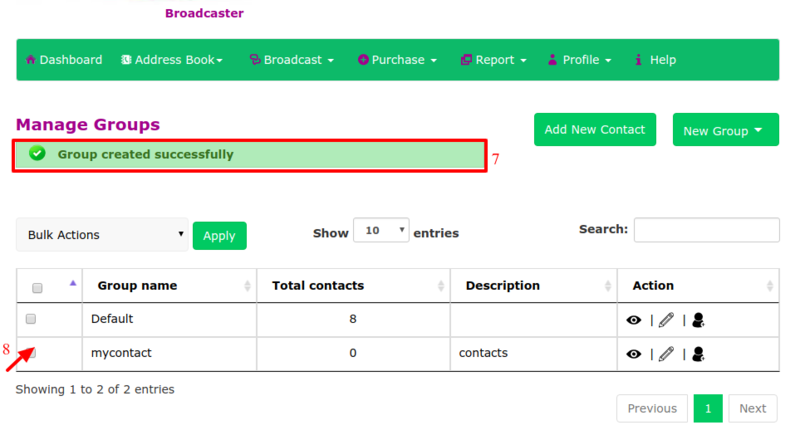 ADDRESS BOOK- On this tab, you can manage contacts, add a new contact or import contacts and view your contact insight. 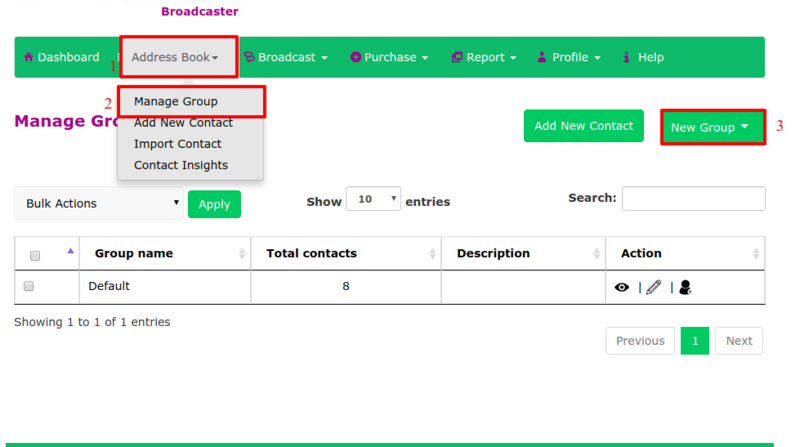 Groups are subsets of the address book that can be used to organize contacts and combine sets of contacts for a broadcast. To create a group follow the steps below. Click “Address Book” from the main menu. Then select "manage groups" from the down down menu of address book. There after click "New Groups" and wait the page to refresh. Fill in the group name as shown below. 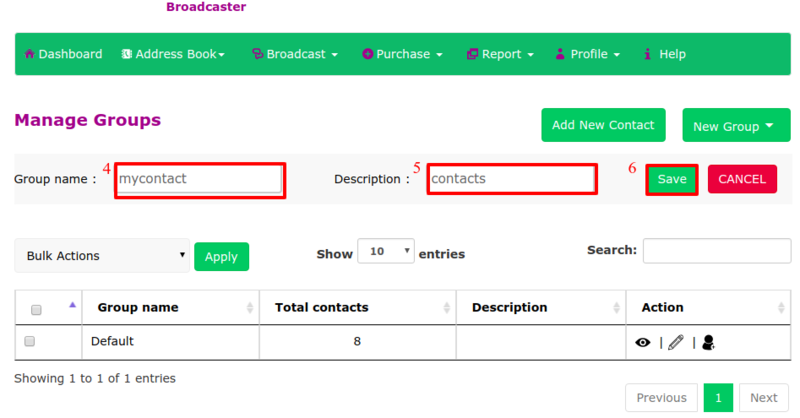 Fill in the description of your group contacts. After saving, you will get a notification "Group created successfully".